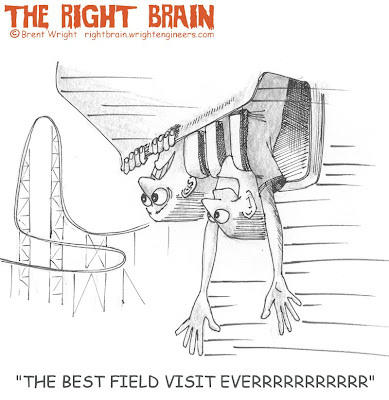 Over the years, Wright Engineers has provided engineering on a number of coasters and thrill rides including all the thrill rides atop the Stratosphere Tower in Las Vegas. Naturally, I feel a need to "test" our work before the ride is opened to the public. 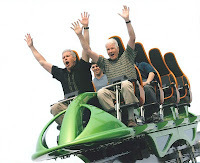 See me hard at work in the photo below along with my dad Leo (on the right) as we do some thorough pre-opening "testing" of the Xscream ride atop the Stratosphere. Fortunately, we lived.